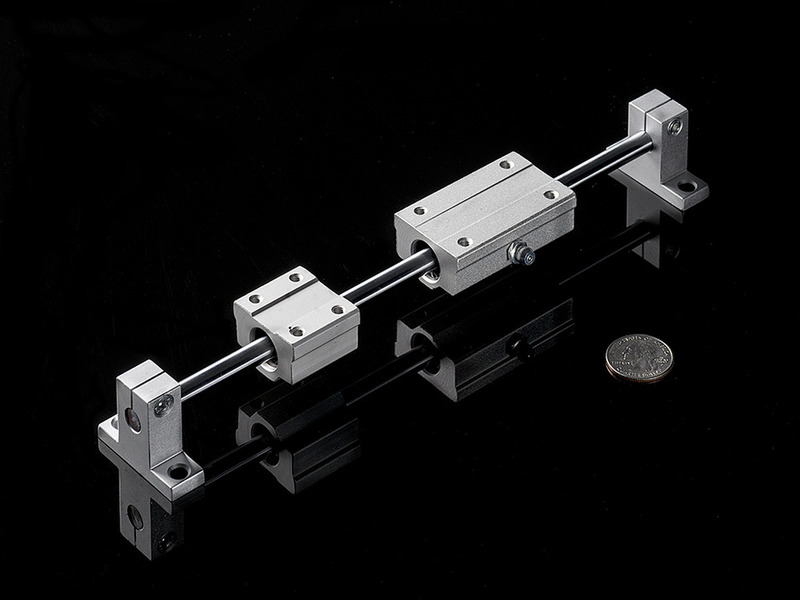 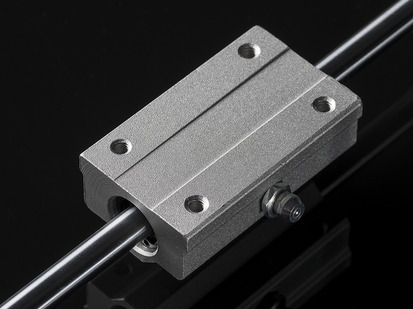 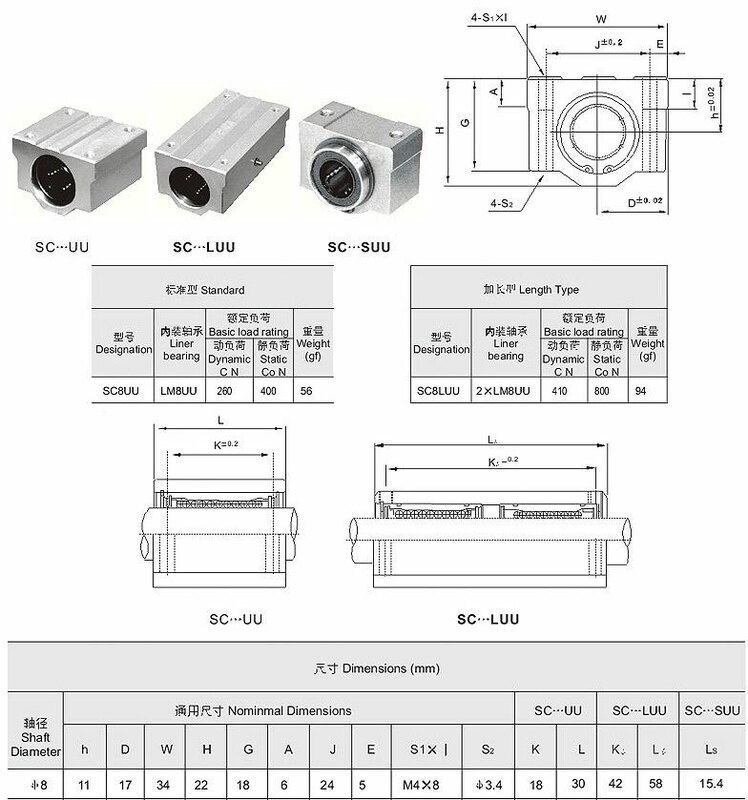 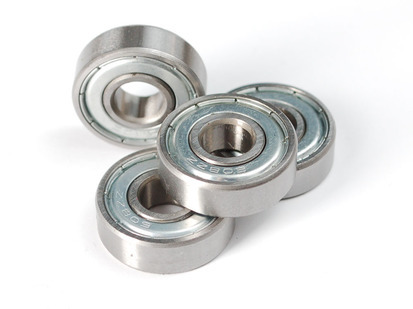 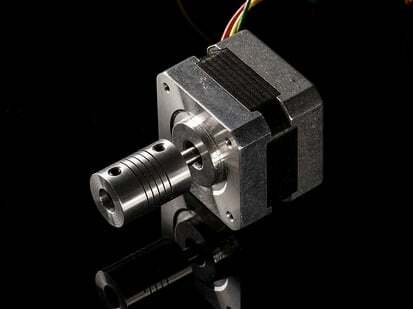 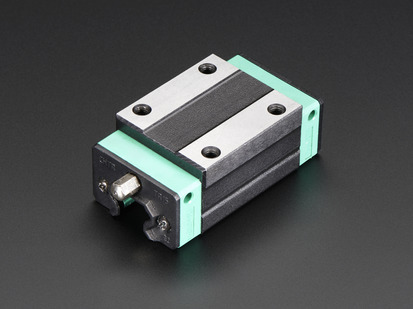 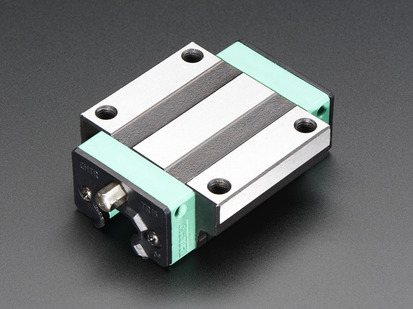 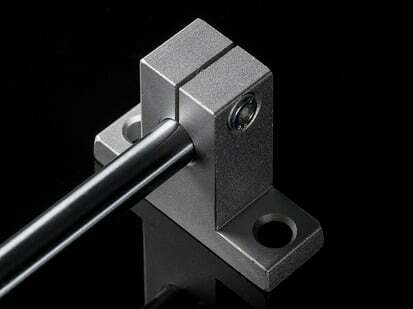 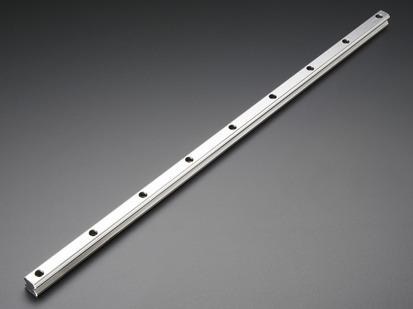 Make your robot or CNC move on rails super fast with a linear bearing platform. 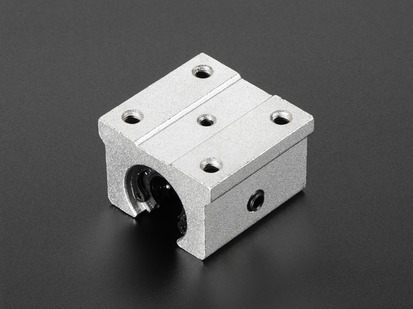 The platform is 34mm x 30mm and has four holes tapped for M4 machine screws so you can attach pretty much anything you want. 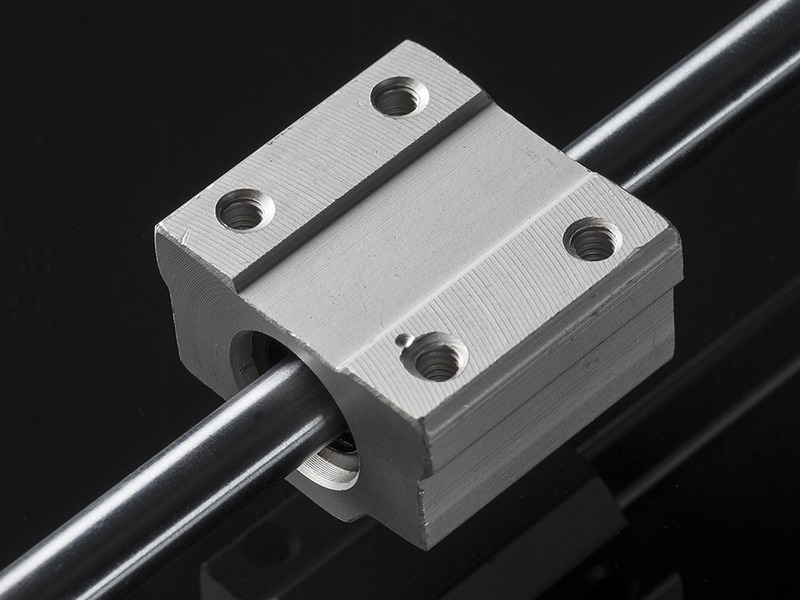 All you need to get started is two 8mm supports and a precision-ground 8mm rod. 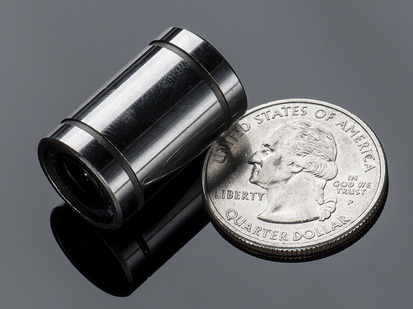 Often times, CNC projects will have two of these on opposite sides to support a larger platform.